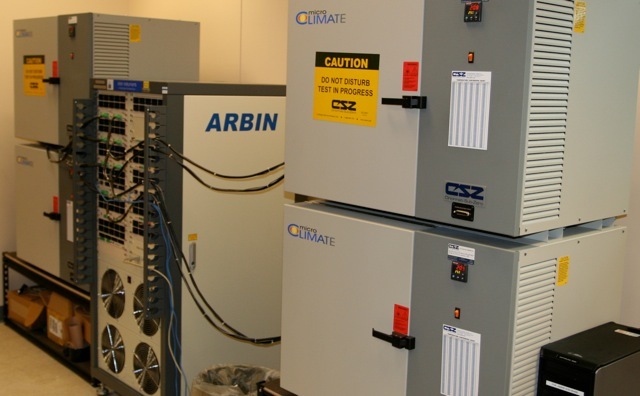 The 540 square foot High-Capacity Battery Research and Test Laboratory is located in the Engineering Building on the campus of the University of Colorado at Colorado Springs. 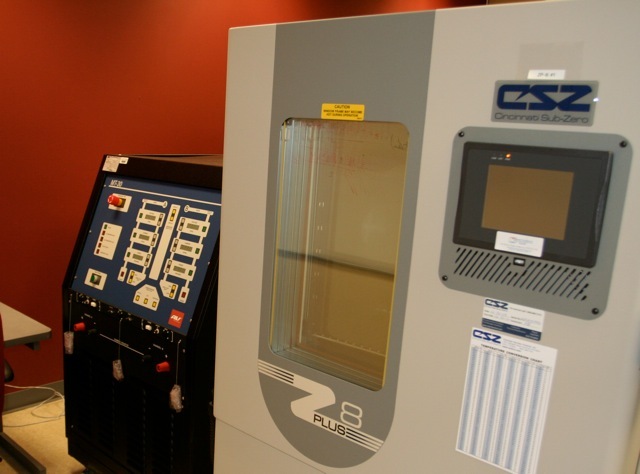 It was established in 2010 with major support from the National Science Foundation under the Major Research Instrumentation Program (MRI: Acquisition of High-Power Energy Storage System Test Equipment) and with additional support from the College of Engineering and Applied Science at the University of Colorado at Colorado Springs. 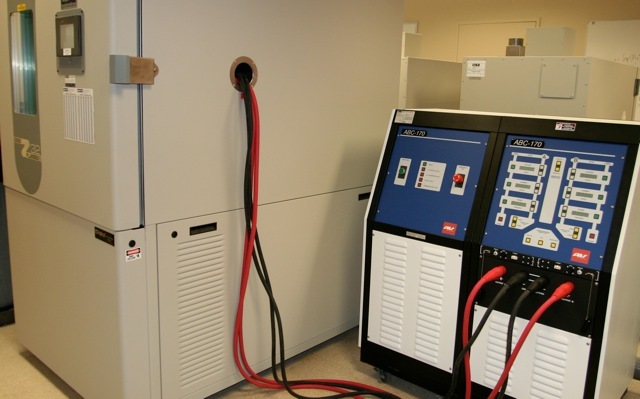 The laboratory has facilities to perform tests on high-capacity cells (such as might be used in hybrid and electric vehicles), modules of such cells, and full-sized battery packs. These capabilities are briefly itemized herein. Allows constant-current, constant-voltage, pulse, and EIS testing at amplitudes up to 30 A per channel (can be placed in parallel for amplitudes up to 90 A total). If you wish to obtain more information with regards to our facility, or if you are interested in using its services, please send an email message to Dr. Gregory L. Plett. The High-Capacity Battery Research and Test Laboratory was established in 2010 with major support from the National Science Foundation under the Major Research Instrumentation Program (“MRI: Acquisition of High-Power Energy Storage System Test Equipment, ECCS 0922486”) and with additional support from the College of Engineering and Applied Science at the University of Colorado at Colorado Springs.